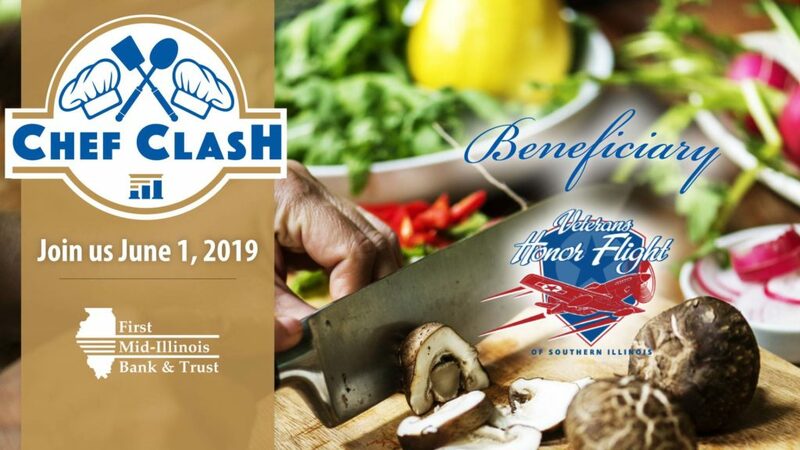 Join us for Chef Clash 2019! Featuring 100 chefs competing by preparing their best dish from various categories. First Mid-Illinois Bank & Trust is proud to announce that Veterans Honor Flight of Southern Illinois be the beneficiary of this year’s event. This year’s event will be on June 1st, 2019, we hope to see you there!